While we had a relentless winter here in New England, I was also dealing with a personal "winter". My mother loved my newsletters and was always the first one to send me comments. So this is the first one without her support. Perhaps they have the Internet in heaven and she can still read it. 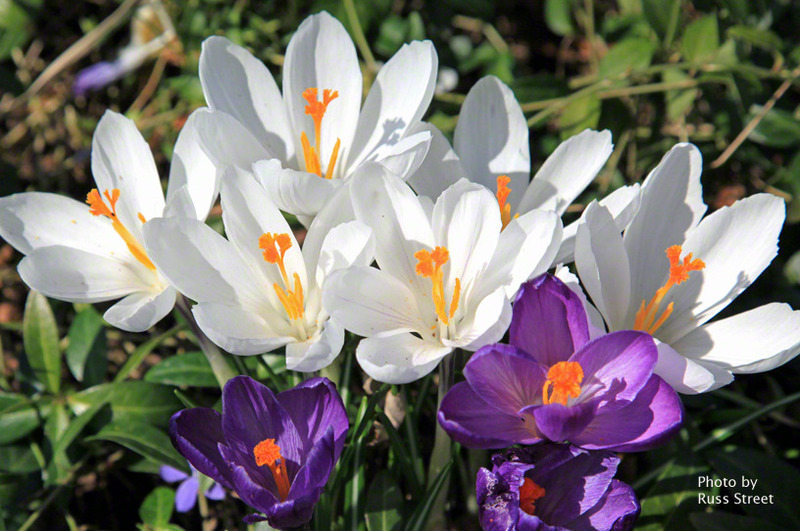 But for now, there are crocuses in my garden, Marilyn Taylor and I have a fabulous week-end retreat to tell you about, and life is pregnant with growth and new possibilities. I have been blessed during this time with wonderful, challenging clients and just did another SoulCollage® workshop, and I finally have a new website with all kinds of new offerings. Coming up, I am going to be doing a series of articles for you on increasing your productivity and organization-- so stay tuned. If you have specific struggles with those issues, let me know and we will tackle those too! Just hit Reply to this email with any comments or requests! It is good to be back and have the chance to re-engage with each of you! BLOOM into Your Rich Life® Retreat for Women: Create The Life You Long for and Deserve! Unplug and spend an illuminating, life-changing weekend blooming into the discovery and creation of your ideal life design. Your life is rich with potential and fertility, but you need the right “plantings” and “seedlings” that will secure the prosperity and serenity that you deserve; ones that will create a path to your own unique Rich Life. This weekend will fill your soul with inspiration and provide a sanctuary for you away from stress and distractions in this luxurious, beautiful place, and connect you with the wisdom and brainstorming of a community of like-minded women. Bloom into your Rich Life,® a masterfully created retreat, will revitalize your spirit, reveal your inner truths, spark your creativity, access your playful self, and give you laser focus on your dreams and next steps. It will help you to visualize and plant a garden with specific goals that will flourish, multiply, and feed your body/mind/spirit/heart/money. This retreat combines fun with meaningful exercises from the ‘Bloom into your Rich Life’ booklet, journaling, visualization, interactive and experiential activities, powerful action-oriented handouts, and time for contemplation and renewal of your life energy. Key to the experience of breathing in the energy of growth and renewal will be creating personal SoulCollage® Cards revealing your inner guidance that consciously connects you to your feminine wisdom; the wisdom that is your source for strategies that honor spiritual sustainability and life enrichment, ensuring personal heartfelt success-on-your-own-terms. Detach from your Type E woman paradigm (everything-for-everyone-else-first) and get re-acquainted with your inner guidance system. Develop both written and visual roadmaps to your Rich Life, as you define it. Reconnect with your inner joy and the richness in life that you crave. Rejuvenate yourself at this remarkable retreat setting with delicious food, spa resources, time with Mother Nature, and excellent services from the Eastover staff. Receive the custom BLOOM retreat booklet and action-oriented worksheets to use during the program and set up goals to continue your experience after the retreat. Free time to explore the beauty of Eastover and all the incredible riches of the Berkshires, like Tanglewood, the Botanical Gardens, etc., Classes in Yoga, Meditation and a full weekend of healthy meals. We encourage you to join us! This invitation awaits your acceptance. Come to create YOUR personal garden, the garden that only exists inside of you, guiding you to express your strengths and gifts, with passion and purpose. This retreat is the result of a creative collaboration between two acclaimed and powerful coaches and is carefully orchestrated to give you maximum results and to move you forward in your life quickly! It’s always the right season to recharge and claim your Rich Life! 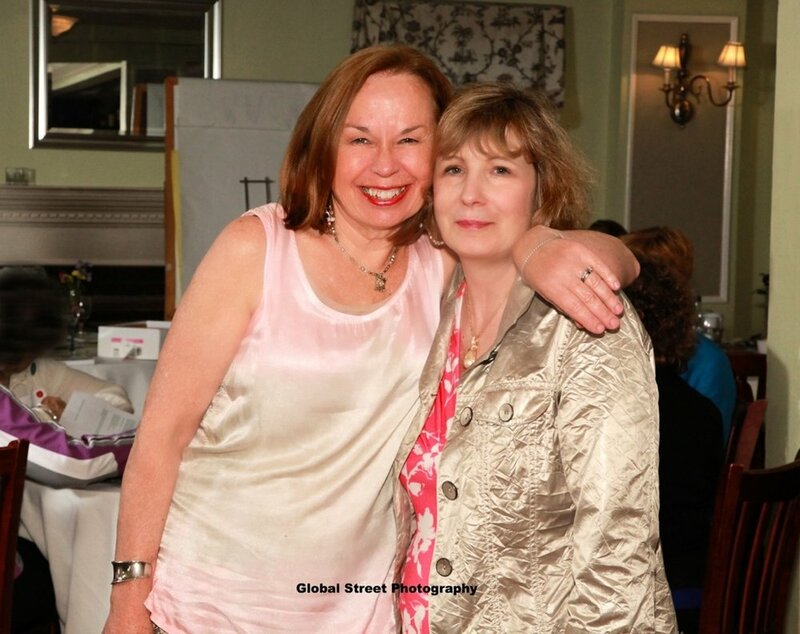 Gail McMeekin, LICSW, is an executive/life/creativity coach who was selected as the “Queen of Imagination” by SHE, is a certified Scientific Hand Analyst and SoulCollage ® Facilitator and author of numerous books, products, and workshops. She wrote the two best-selling books “The 12 Secrets of Highly Creative Women” and “The 12 Secrets of Highly Successful Women” and her “CreativityCourage Cards” were just featured in “Artist Magazine.” She has a “Power of Positivity Guide” stress-reduction app for your phone at GPS for the Soul/Huffington Post and her work is featured on radio, TV, and national media. Marilyn Taylor is a Licensed Massage Therapist and Certified Life Coach, owner of CONFIDENT DIRECTIONS LIFE COACHING. Drawing on her over 30 years in the field of wellness, stress reduction, spirituality and human potential, she is masterful at creating an environment that optimizes change, with tools and techniques that are accessible and empowering. She has authored “10 Practices of Personal Sustainability, The Savvy Person’s Guide to Conscious Living” and Confident Directions Life Coaching Empowerment Cards.